Kimi Raikkonen’s chances of getting back in the Formula 1 world championship hunt will be boosted by a major upgrade that Lotus is planning for the Korean Grand Prix, AUTOSPORT can reveal. The Finn endured a difficult weekend in Singapore but still managed to hang on to third in the standings after finishing sixth. He is now 45 points adrift of championship leader Fernando Alonso with six races remaining. Although a new rear wing that Lotus tried at the Marina Bay circuit did not work, the Enstone-based outfit believes that the return of its double-DRS in Japan and a number of developments for Korea can get it back in the hunt for the title. Lotus trackside operations director Alan Permane told AUTOSPORT: “There is a big update coming in Korea, a really good aero update – plus we plan to run our rear wing device in Suzuka. Permane suspects that the new wing evaluated in Singapore may not be as bad as the team thought on Friday, as changing track conditions made it difficult to judge its relative merits. “We had some aero updates on Friday that we weren’t convinced about, and it is difficult in Singapore to measure what is going on,” he said. “So we played it safe and took them off. “Everything that’s come out of the windtunnel has worked, and maybe we weren’t cautious enough this time because of that. It could be we get to Suzuka and it works really well. 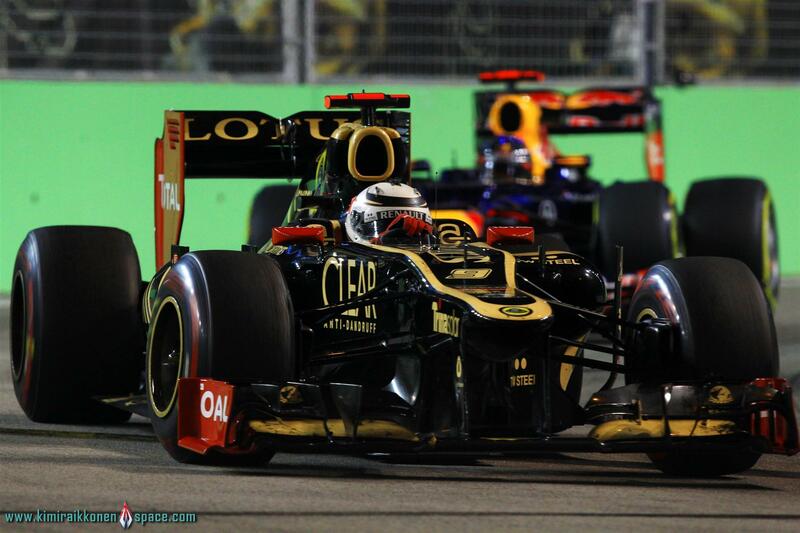 Comparing with last year result in Singapore, Lotus new rear wing did WORK! But please Lotus stop too much talking about upgrade..JUST DO IT! I heard repeatedly during Sky coverage, that Lotus opted not to use that new rear wing, as they were not sure of benefits and decided to stick with what they know. It’s difficult to become optimistic again after Marina Bay. Monza was somewhat expected, but Singapore should have suited the E20 and expectations were high after the talk about the new rear wing. Suzuka is another track that, in theory, should suit Raikkonen and the E20. Kimi has records for fast laps at both sites, but Lotus’ failure to develop and test the new parts correctly have left them far off the pace. As any fan, I’ll hope for the best, but I won’t be holding my breath until Lotus shows it can make significant gains on pace. Sadly I share your concerns, it seems they lost their “punch” compare to beginning of the season, where they easily could out power likes of Force India and Mercedes or even Red Bull. We can blame gear ratios for Spa and Monza, but with Singapore it is more apparent that they are just not as good as before the break. But perhaps if Kimi was more involved in the car’s development – and not just drive it – it could almost certainly have assisted in the evolution of the E20. While Ferrari drivers and McLaren too have been in the forefront of design, technology and development of their own cars, Kimi quickly jets off to Switzerland.